One of the less dramatic software additions to the Moto X was the handy and unobtrusive camera launch gesture. While most phones have a quick-launch function for the camera on the lockscreen, the Moto X (and Verizon’s me-too DROIDs from 2013) can quickly access the camera with two twists of the wrist, even when the phone’s screen is off. According to a video spotted by A Tech Website (no, that’s really the name) the upcoming Moto X+1, or possibly “the new Moto X,” retains this function. The video, partially narrated in Spanish, shows the larger phone activating its camera with the same twisting motion that the current phones use. While there’s no technical information within, it’s clear that this device is considerably larger than the original Moto X, with its 4.7″ screen. It’s also possible to see the dual front-facing speakers that have been added, in a layout very similar to the Moto E. Keen-eyed readers will also be able to spot Motorola’s signature Active Notifications on the screen. Motorola reportedly revealed new hardware in closed-door meetings in Chicago earlier today, and will publicly disclose new information tomorrow, September 5th. A leak from a German retailer earlier today seems to blow the lid off of the specs for the “2nd-generation Moto X,” including a 5.2″ 1080p screen and a Snapdragon 801 processor. 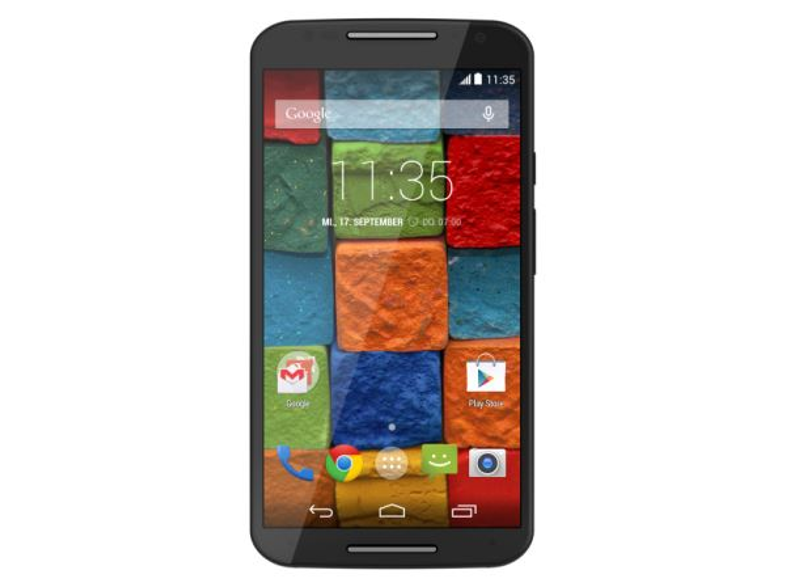 An updated Moto G has also been leaked.